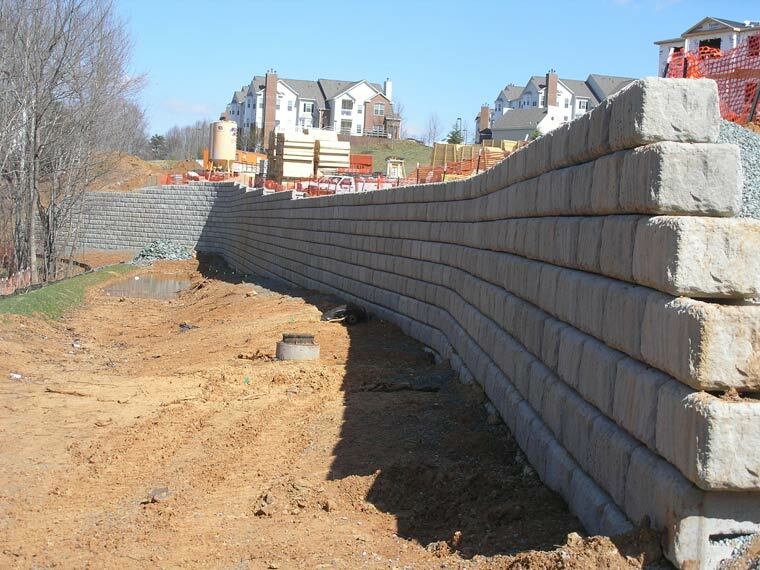 Photo gallery of retaining walls. 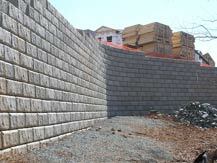 Includes residential, commercial, industrial, pavers and other landscape pictures. 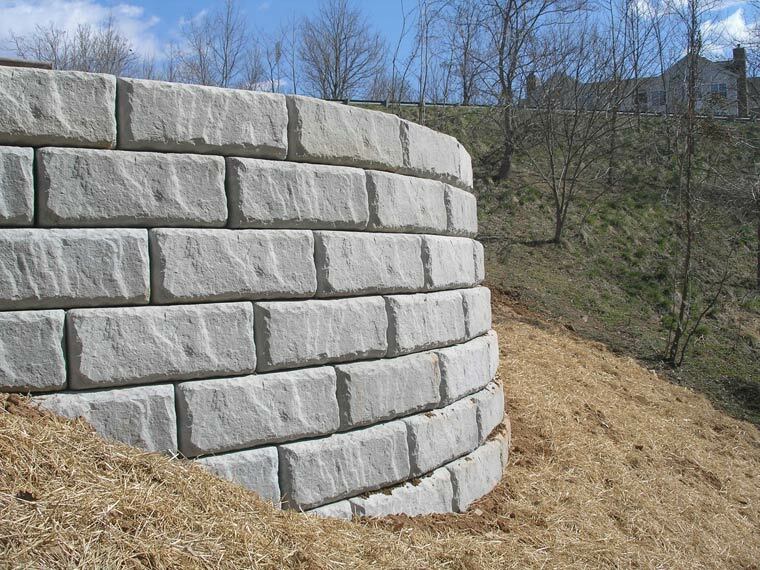 There are decorative walls, walls that have been made into planters, some with water features or waterfalls, large walls, straight, serpentined, tiered. 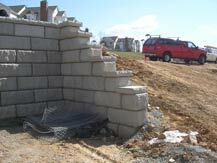 curved, branched and some with steps and 90 degree corners. Redi-Rock retaining wall used in a residential subdivision with two bends. Redi-Rock retaining wall under construction. This type of block usually does not need geogrid. 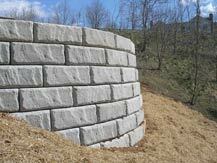 Redi-Rock retaining wall with an inside 90 degree turn, construction just completed. 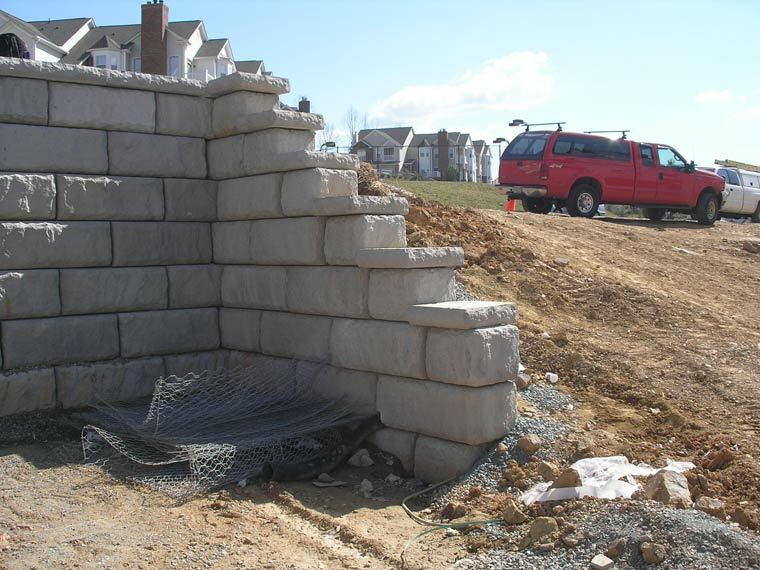 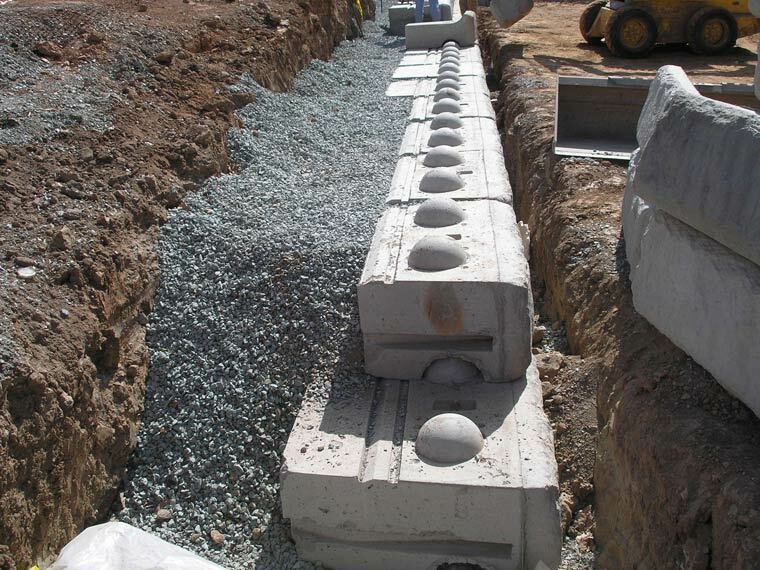 Redi-Rock retaining wall used in a residential subdivision with an internal radius. 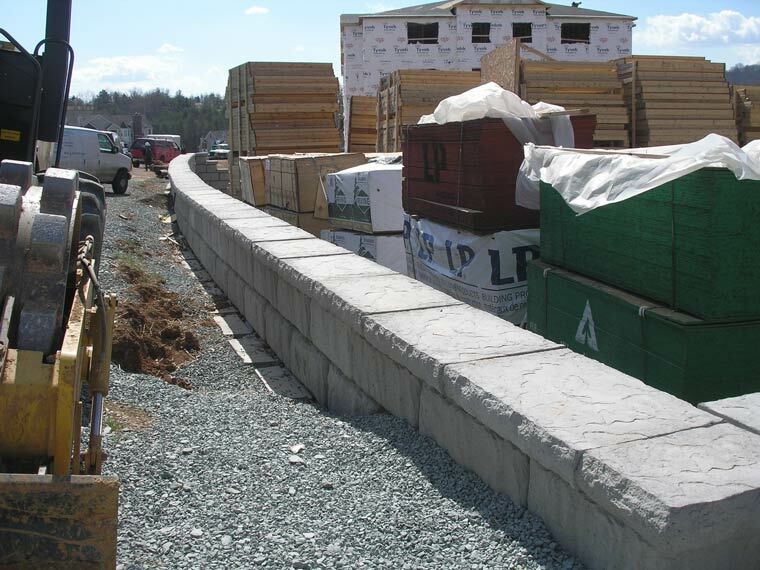 Redi-Rock retaining wall used in a residential subdivision showing an external curve. Redi-Rock retaining wall nearing completion, area used for storage during construction, later a building.